Lately, the blog has featured a lot (seriously, though) of recipes. It's what happens when your family is trying to eat healthy and you're discovering what does and doesn't work in regards to your tastes, the health benefits, etc. I promise to get back to more day-to-day activities of the Hills'....like the woodworking we have finally gotten back into. But, for now....you guessed it, I've got another recipe that I can't help but share and hopefully it's a catalyst in your kitchen for coming up with new ways to look at everyday foods. 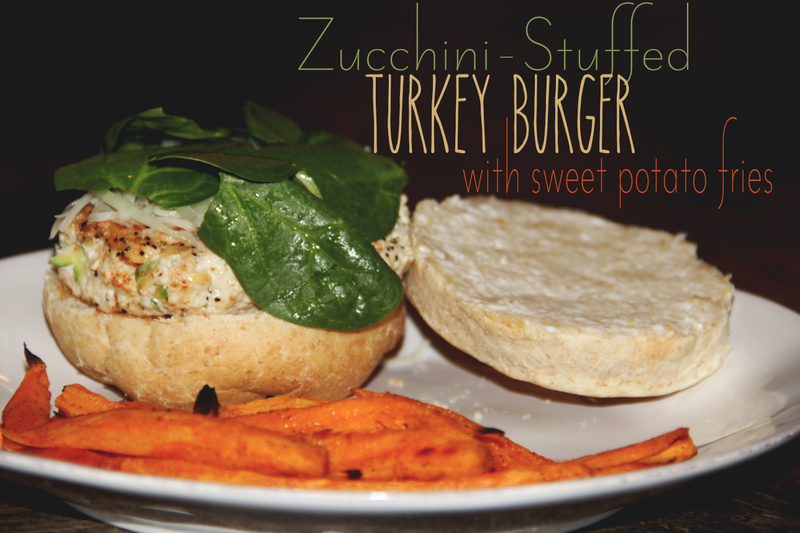 A few months back, husband and I discovered a scrumptious and healthy (yay, for that perk!) burger as we began our stint on themed eating. We wanted to take the ordinary, not-so-great-for-you burger, and turn it into something amazing and yet, healthy. The two of us already knew we would be substituting beef for turkey, but we needed something to take this better-for-you burger to the next level. And that's when the light bulb turned on for us and we realized we could combine vegetables with our meat and eat a burger that was jam-packed with really great nutrients. Such a no brainer, yet we were bewildered as to why we hadn't thought of it sooner. So if you're one of those people, whom like us didn't realize that vegetables weren't just for topping your patty, here's a really simple recipe for getting more veggies in your meal. Start by shredding your zucchini and onion. With the zucchini, wash it thoroughly, leaving the peel on and cutting out any bad marks. For the onion, pull off the outer peel, cut in half, and then grate. Once you have grated both zucchini and onion, mince the garlic and add to the veggies. Next add your turkey burger, salt, and pepper; combine all the ingredients, using your hands, until well mixed. Shape into patties of about 3-4 oz. proportions (about the size of a deck of cards) and cook in a skillet drizzled with olive oil on medium heat. As it is with every burger, fries are the go-to of sides. But, your typical french fry isn't going to cut it on the healthy meter. So spice it up, quite literally, and try out this super easy recipe for spicy sweet potato fries. Cook the sweet potato in the microwave for 3 minutes, to soften it up. This will making cutting it into slices, much easier. After you have cut the potato, toss them with the olive oil in a bowl. In a separate bowl, combine all of the seasonings and mix well. Sprinkle over the potato slices and stir evenly to coat. Bake for 25-35 minutes or until the fries are lightly browned and crisp. Halfway through, pull the fries out of the oven and stir around so that they cook evenly, flipping if you have to. Now you can have your burger and eat it too, guilt free I might add! And if you're feeling extra healthy, go sans bun!